A couple of weeks ago, I wrote about the sterling work our friends at Sea Shepherd are doing out on the oceans of the world, protecting wildlife from the rapacious advances of whalers. They have a fleet of ships that at any one time can be anywhere from the Arctic to the Antarctic, Norway to Japan. Any sailor would agree with me, I think, when I say that the heart of any ship is its galley. You can't be out saving the whale on an empty stomach. So I was heartened (and alright, a little amused) to see that Sea Shepherd have just launched a Kickstarter fundraising campaign... for a cookbook. Think! Eat! Act is a collection of vegan recipes that are prepared and served on board the Sea Shepherd vessels for their hungry crews. 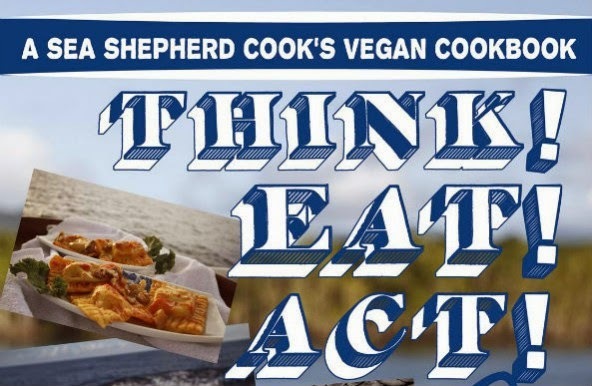 Written by one of Sea Shepherd's chefs, and inspired by the group's goal of protecting the animals that are victims of human cruelty, this book uses delicious vegan food to show readers that every action has a consequence, and that you can live both well and compassionately, even while facing the challenges of being an activist living on a ship. The book also contains plenty of hints and tips on taking up a vegan diet, and the philosophy and thinking behind it. Although Think! Eat! Act! has already reached the initial funding goal, they're looking to stretch that to afford a much nicer package, including lie-flat binding and coated pages: both a must for any cook that actually plans on using a cookbook in the kitchen! We are, of course, fans of Sea Shepherd and their good works. We are also fans of food and eating. Although I'm no vegan (as a lapsed vegetarian, I'm probably the polar opposite) I can certainly see the benefits of a meat and dairy-free diet. If you're interested in seeing what being a vegan cook on board a working ship is like, check out Think! Eat! Act's Kickstarter page. I think it's clear to any casual observer that fashion has changed massively over the past 10-15 years. The old model, of fashion houses releasing two seasons of looks a years that gradually filtered down through the high-end ateliers to become part of the general pattern of clothing over an extended period, has gone for good. Nowadays, we see it, we want it. And technology and manufacturing processes have advanced to a point where that urge can be serviced, at a low, low price. Fast fashion, which most observers agree was pioneered by Spanish clothing giant Zara, is a different beast altogether. It takes the catwalk not as inspiration, but as a blueprint for the new season's ranges. It can now take mere weeks for new designs to be in the shops. Sure, they won't have the precise cut and finish, or the luxurious materials of the clothes that Cara, Kate and co. show off, but the look is right. See how quickly the Christian Louboutin red-soled stilletto went from the fashion mags to the high street. For the most part, copyright claims and cease-and-desist orders simply don't work. Think of the fairground game Whack-a-Mole. Bop down one shop, another pops up. Fashion has always been an arena where ideas can't be protected. It's tough enough to keep the knock-off Adidas trackies off the streets. How do you prevent a particular cut or fabric print from percolating down to the masses? The price of all this is, of course, twofold. You need a big, cheap workforce to get these clothes on the shelves, and it's best if you don't pay too much attention to the conditions of their factories, or their pay, or how old they are. Fast fashion is, for the most part, a humanitarian disaster zone. There's another cost, and here's where things get interesting. The Zara model, focussing on the newest trends and clearing them off the shelves as soon as the next big thing arrives, has been so successfully copied by its competitors that our expectations of how long we should wear clothing for has changed. We throw away billions of pounds of clothes a year, knowing that because it's cheap (and frequently made from shoddy materials that won't last) that we can just bin it to make room for more. This is, of course, an environmental problem on a massive scale, but it's led to problems for Zara as well. The brand's insistance on quick turnaround of ranges has led to huge overstocks of clothes that they can no longer get onto the racks. The solution? They've launched a new discount store brand, Lefties, that sells last season's clothes. But that's not really helping. Inditex, Zara's parent company, has seen profits flatline while cheeky newcomers like Primark and H&M have been doing increasingly good business in Spain, the brand's heartland. If even Zara is feling the pinch as the fast fashion model accelerates, where next for everyone else? Could it be, as the public's attention moves to a more sustainable clothing philosophy in the face of a global recession that includes more focus on make-do-and-mend and the recycled/pre-loved idea, that we are seeing peak fast fashion? Can it be, as we start to insist that the workers that make our clothes are fairly paid and treated, that our hunger for cheap, fast clothing is finally starting to ebb? Finally, finally, spring is on the way. There are blue skies and the chill in the air is finally warming up. Here at the Pier, that means we're starting to see the start of our busy season, as our top three activities start coming into their own. One of those three activities will almost certainly be appropriate for you as the sun begins to shine. The Event T-shirt is the starting point for many activities, whether corporate, charity, or educational. This could be a product launch, a fundraiser, or a big school event. Multiple identical t-shirts are a great way of repeating your message and are an excellent product for raising awareness. Of course, that awareness could be anything from a company to a cause, or a promotion to a product. Our t-shirts are independently certified to be sweatshop-free. They're ethically produced in safe working conditions without the use of child labour. Next up, The Leaver Hoodie, which has become increasingly popular over the last few years. We're seeing orders spreading from universities and colleges to junior and infant schools. 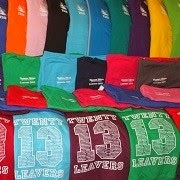 Leaver hoodies are a great souvenir of happy school days. The younger children really love them, especially the sense of togetherness that they provide. They look great in group photos too! We're usually asked to supply these garments in time for the traditional end-of-school week away. Of course, like our t-shirts, we use ethically produced and independently certified hoodies. Finally, there's Staff Uniform. This is remarkably flexible. Depending on the workplace, staff uniform could be a printed t-shirt, an embroidered polo shirt, aprons, overalls, or even a tailored suit with waistcoat and corporate tie. We offer all of these and more and we can Pantone match your corporate colours if required. As we finally leave the cold months behind, now's the time to start thinking about the events coming up, and how Pier32 can help you make them go off without a hitch. Why not give Ian or Gerry a ring on 020 8398 2847, drop us an email or use our ever-popular Quick Quote page? Next month marks the first anniversary of the Rana Plaza disaster, which left over a thousand factory workers dead, and the families that depended on them scrambling to make sense of their loss and to find a way to survive. Compensation from the Western companies that funded the businesses in the Rana Plaza has been disgracefully slow in coming. But now, at last, the bereaved are starting to see a little bit of light. Primark, who interestingly were one of the few firms to offer compensation to the Rana families in April last year, have pledged $9m to the 581 workers, or their families, from New Wave Bottoms, Primark's supplier, which was based on the second floor of the building in Dhaka. Primark are dropping a further $1m into a communal compensation pot which will be shared by all the 3,600 workers affected by the collapse of the complex. There's now hope that Primark's unbidden move will spark other brands who were involved in the building to appropriately compensate those left behind. Although retailers like C&A and German brand Kik have paid, and others like Benetton and Matalan have set up their own funds, others, such as American giant Walmart, have yet to pay a penny. So far less than a quarter of the amount needed, an estimated $40million, has been paid into the central fund. "We hope that Primark's payment will bring the debate out so that people will ask other brands 'What are you doing?' We urge other retailers to show good faith and make a donation." As ever, the lack of transparency shown by big fashion retailers is backfiring. Their unwillingness to confirm what, if anything, they are doing to help the victims of a tragedy in which they were implicit makes them seem at best shady and at worst uncaring. As the anniversary approaches, it will be interesting to see whether the high street brands will admit to their responsibilities, and show a global audience that they're capable of doing right by the victims of the Rana Plaza tragedy. Let's face it, without the internet ethical fashion would be a much tougher sell. The advent of the World Wide Web (which coincidentally turns 30 this week) has enabled producers, manufacturers and artisans to connect, collaborate and most importantly sell their wares. The internet has also fostered an explosion of socially conscious projects and initiatives. Everything from awareness of rainforest and wildlife conservation to child exploitation and worker abuse in the third world. Of course, there are huge cross-connections between the two, and one thing's for sure: a connected world is, slowly but surely, becoming a more ethical one. The launch of a new browser plug-in from a German activist group, Earthlink, is about to make the ethical choice a little easier. aVOID is designed to scour shopping sites like Amazon, Asos and Google Shopping for brands with known affiliations to child labour abuses, and simply makes sure that you never see them. It's a sure-fire way to ensure that when you're looking for clothes, you only find the brands with a decent and ethical employment record, without needing to do research every time you need a new pair of pants. We're all agreed that child labour should play no part in a modern, ethical workplace, and it's great to see groups like Earthlink showing just how much of a problem it still is - and just how easy it can be to make sure you don't support it. It doesn't happen very often, but on occasion Gerry and Ian pop the locks on my little eyrie here at the bottom of the Pier, and let me out to explore the wide world of ethical fashion for myself. It's always delightful to be able to make it into the centre of London, and particularly to the swinging quadrant of shops, restaurants and businesses based around Carnaby Street. This March, the cobbled streets of the Newburgh Quarter will be home to ethical fashion collective Redress, as the tour of the winners of their Ecochic Design Award hits the UK. 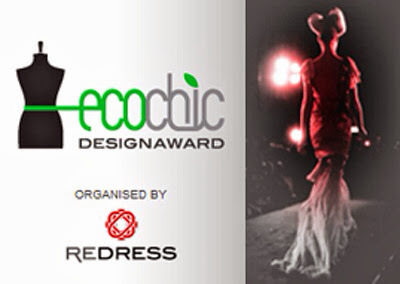 The EcoChic Design Award is a sustainable fashion design competition which aims to inspire emerging fashion designers and students to create mainstream clothing with minimal textile waste. Finalists have been on an education and design journey lasting several theory and design-packed months, all leading up to the grand final at Hong Kong Fashion Week back in January. Key garments from that show are now touring the designers' home countries, showcasing their innovation and creativity. Their designs are based on the sustainable design techniques of zero-waste, up-cycling and reconstruction of supply chain techniques in an effort to cut waste out of fashion. The Newburgh Quarter, which curls around the quiet alleyways off Carnaby Street, are the ideal base for the show. Stuffed full of high-end fashion stores and barely a spit and a whistle away from the seedy delights of Soho, the show is brilliantly located, and well worth a look if you're in the area. I'd like to finish our week of client profiles by highlighting a charity that Pier32 has started working with fairly recently: marine conservation group Sea Shepherd. Their mission: to end the destruction of habitat and slaughter of wildlife around the UK's coastline and across the world’s oceans. They're a direct action organisation that have been running since the 1970s, with a fleet that includes 4 capital craft, over a hundred active crew members and a support flotilla of RIBS, other fast response-craft and even a unmanned drone squadron! Since the days of the first 'Sea Shepherd' (a converted trawler involved in an all or nothing battle with unscrupulous whalers that led to the ship being scuttled in a Portuguese harbour) the organisation has fought with any and all means at its disposal to protect marine wildlife and conserve their habitats. 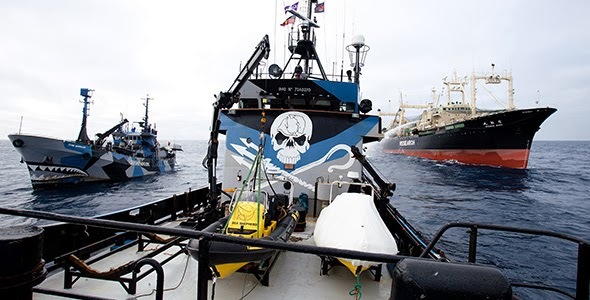 Under the command of founder member Captain Paul Watson, Sea Shepherd continues to make waves with their operations against illegal whaling, seal and sealion hunts, dolphin killing/captures and the killing of over 76 million sharks a year for their fins. Make no mistake, Sea Shepherd are not desk jockeys. Their actions, with code-names like Operation No Compromise, Operation Zero Tolerance, Operation Relentless (their ongoing campaign to protect whales in the Antarctic) and Operation Grindstop defending dolphins in the Faroe Islands show how the Sea Shepherds take the fight to the poachers and illegal fishing or whaling boats worldwide. Their actions has led some to describe them as pirates, a label that the Shepherds have gleefully expropriated with their trident-and-hook Jolly Roger insignia, and dazzle camo painted boats. They may be considered the renegades of the marine conservation movement, but the fact remains that Sea Shepherd get the job done. Japanese whaling fleets are regularly sent home in disarray, with a fraction of their kill quota. Sea Shepherd are aiming to up their game by refusing the fleets a single whale in their new campaigns. They call themselves the 'Whale's Navy'. Let's hope, as demand for whale meat declines and the Sea Shepherd's actions sink the whaling fleet economically - that one day there will be no further need for direct action anti-whaling campaigns. We're continuing this week's focus on some of Pier32's clients with a look at the charity Children Of The Andes. They've been working since 1991 to help the street children of Colombia, who face poverty and violence on a daily basis. Thanks to Children Of The Andes, thousands of kids have been provided with the support, education and healthcare they need to build happier lives. 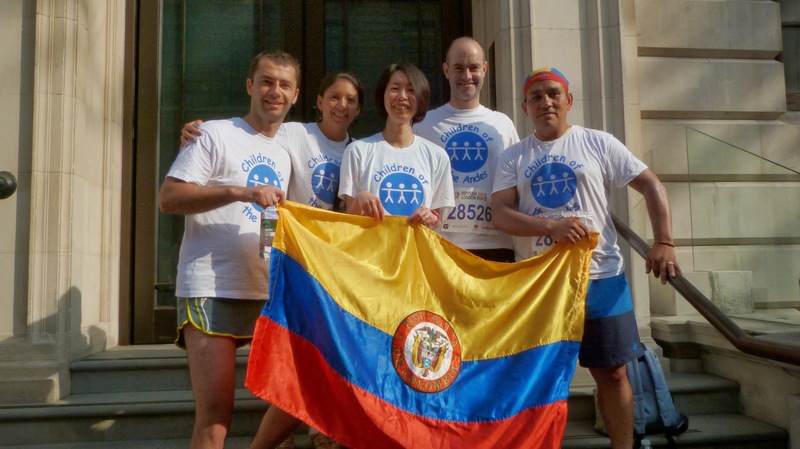 Initially set-up as a fund-raising venture, it became clear to the charity that, despite funneling millions of pounds in grants to Colombian projects, money alone wasn't the answer. A field office was set up in 2005, to help the people on the ground with skills like financial management and planning. Working more closely with these local groups, Children Of The Andes are now more in touch than ever with the shifting sands of policy change and local government peccadilloes that effect vulnerable children. Children Of The Andes are the largest UK charity working exclusively in Colombia. They've sent almost £5 million in grants, helping tens and thousands of children at risk. By supporting projects that help street kids to return and reintegrate with their families, and getting working children out of the factory and into a school, Children Of The Andes are making a real difference to the lives of thousands of the marginalised and vulnerable that would otherwise end up in the gutter. Quite literally: the spark that started the whole enterprise was a project to help street kids who were living in the sewers of Bogotà. The focus and mission are clear. Children Of The Andes believe that education, making communities safe for children, supporting their families and preparing them for adult life are vitally important to bringing up healthy and happy adults. It's a complex job with many factors to take into consideration, from the economic situation of their family to the quality of local schools to the protection they can expect to recieve from the police. Working with kids is never easy, and the children of Colombia present a particularly tricky challenge. But there is hope, and the rewards are undeniably worth the effort. Pier32 have provided Children Of The Andes with Starworld t-shirts, the ever-popular SW350 Cool Tee. Here's a pic of them in use in Colombia. This week, we're focussing on some of our lovely clients: the people who keep us in business and able to big up the cause of ethical clothing in the promotional industry. Today, we're all at sea, with our friends at Marine Conservation Research. Marine Conservation Research International is a unique not-for-profit organisation based in the UK. They conduct practical, conservation focused projects internationally on threatened whales, dolphins and their habitats. To do this they have their own ship, the research vessel Song Of The Whale. The Song Of The Whale is purpose-built and unique. It's one of the quietest marine vessels in the world, thanks to smart design features like a five-bladed propellor and vibration-damping materials on the engine block. It's designed to stay offshore for weeks at a time, and can generate its own power through solar and wind turbine technology. Her crew is experienced, dedicated and adaptable to the challenges that research in the world's oceans can throw at them. The research season just passed has led the MCR team to make some amazing discoveries, including the detection of beaked whales and harbour porpoises in the Eastern Mediterranean: regions where they hadn't been seen before. It's this kind of work that makes the MCR and The Song Of The Whale such a valuable asset to marine biologists the world over. If you're interested in meeting the guys at MCR and chatting about their work, they'll be at Whalefest in Brighton on the 14th-16th of March. Look out for the highly attractive t-shirts, based on Hanes Organics tees--supplied by Pier32, of course!